Wireless networks, aka Wi-Fi, allow you to access the Internet anywhere in your home and provides an easy way to share a single Internet connection among multiple devices. 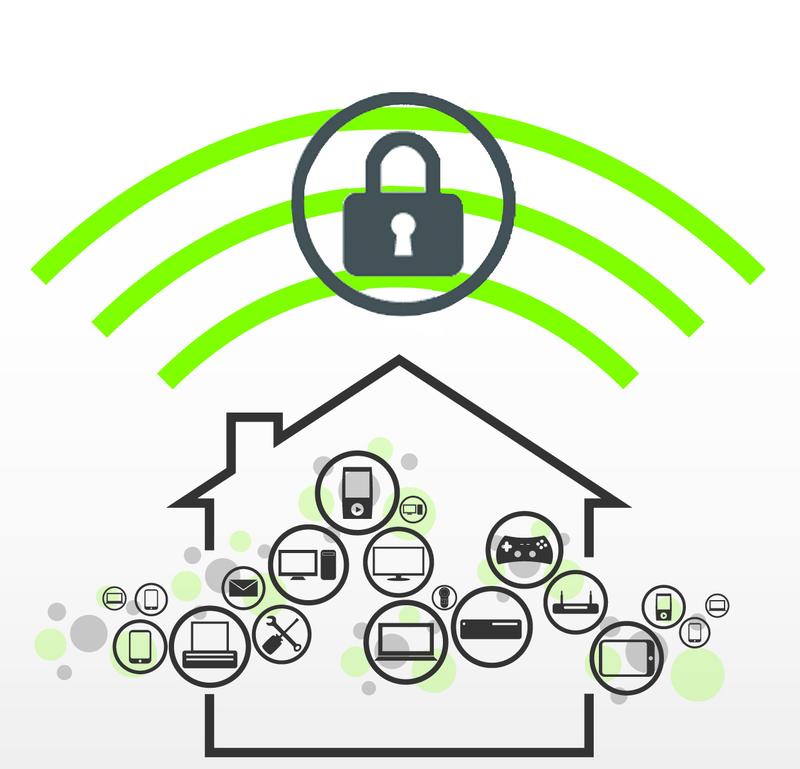 While wireless networks are very convenient, they can also be very insecure. If your Wi-Fi network is not secure, you open the door for hackers to steal your information or neighbors to hijack your Wi-Fi for their own use. Not only can this slow down your Internet speed, it also leaves you vulnerable to identity theft or illegal activity. Here are a few basic tips from PC World and the University of Illinois for locking your wireless network to help prevent unauthorized access. The first thing you should do is change your routers default settings. Every manufacturer ships their routers with default username, password, and Service Set ID (SSID). All of these default values can easily be found online, meaning anyone could easily connect to your network. To change the default username, password, and SSID you need to log into your router’s administrative console. To start, open a Web browser and type in your router’s IP address. An IP address commonly looks like 192.168.0.1. Since IP addresses do vary slightly by router, you may need to consult your user manual to determine your router’s specific IP address. Once entered, a box will pop up asking for your username and password. Once again, if they are still the default values, they can be found in the user manual. Once you are logged in, change your username, password, and Service Set ID (SSID) to something more secure. Be sure to change both your Wi-Fi password (the password a guest types in to access your Wi-Fi) and well as your router administrator password (the one you use to log into the administrative console). If you need help determining a password, check out our previous post entitled “Creating Strong Passwords”. In securing your Wi-Fi network, passwords are only half the battle. Turning on and choosing the proper level of security encryption is just as vital. Security encryption scrambles data sent over your network to hide information from humans. Also, by turning on the encryption, no one can log into your wireless network without the password. When logged into your network’s administrative console, you should be able to find the security encryption option under the “wireless” or “security” menu. You will have a number of encryption options, but WPA2 is the strongest form of wireless encryption available as of late 2011. To help make finding your wireless network easier, wireless routers broadcast Service Set ID (SSID) so all users within its range can see the network. 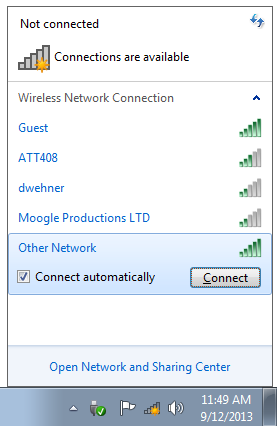 To help make it more difficult for someone to find your network, you can disable the SSID broadcast feature. This capability is typically found within the routers settings page. Do note, that if you disable the SSID broadcast, you will have to manually enter your router’s unique SSID when you want to connect any new device to your network. While there are still some programs out there that can find “hidden” networks, the thought was that if people are unaware that a wireless router exists, they will not attempt to access it. That’s why it is important to still change the passwords and turn on the security encryption.